Image data from an upcoming Over-lap guide shows potential new Pokémon in the Alola region! Pokémon Ultra Sun & Pokémon Ultra Moon are almost here! We’ve had some large reveals as we approach the release date and it looks like we’ve received another one. 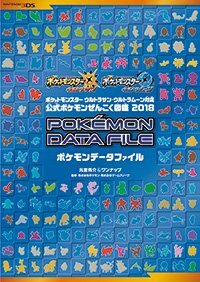 A guide from Over-lap seems to be featuring a fair amount of the updated Alolan Pokédex, including Akala Island and Pokémon which are new to the region. Exciting stuff! Looks like the new Pokédex is shaping up rather nicely.